Compact evergreen shrub with red-margined, deep green leaves. 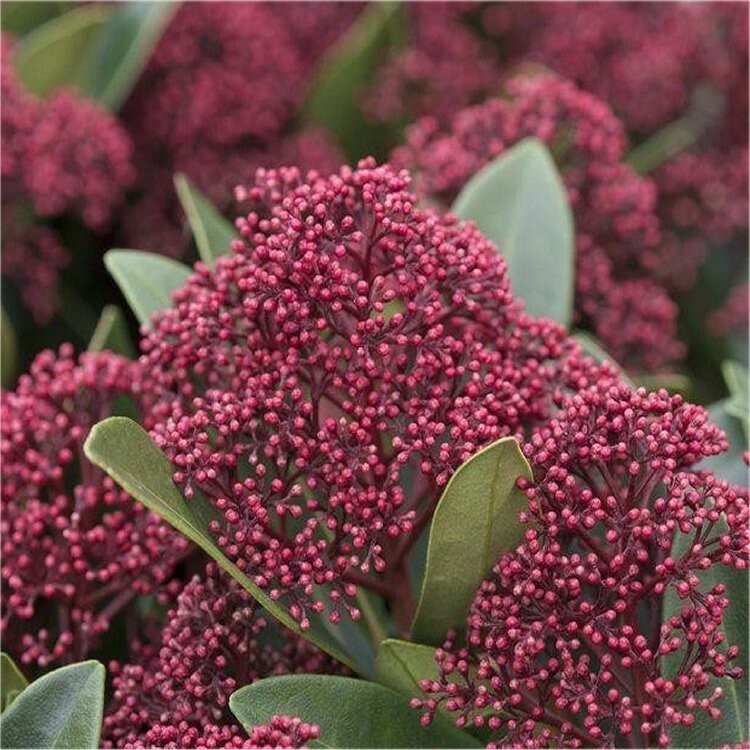 Dark red flower buds are produced in autumn and these last all through the winter until the flowers open in spring. Supplied as bushy plants (with buds in Autumn/Winter/Early Spring) in 9cm pots. 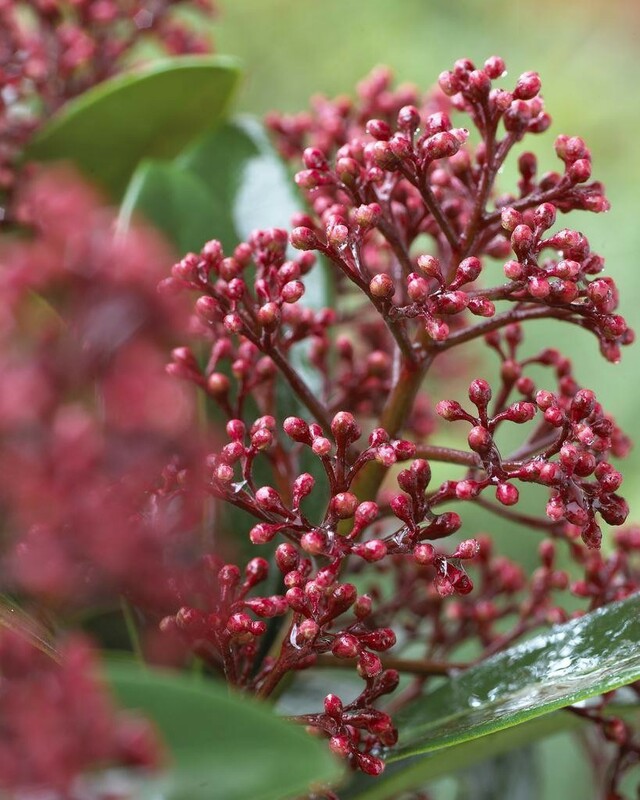 If you are growing the female form for berries (Skimmia japonica Reevesiana) always plant Skimmia japonica Rubella nearby to ensure a good crop of berry.